This week’s ears in the spotlight have become an instant favorite for anyone who loves purple (me)! I was so excited when these ears were first announced. My favorite color is purple, so there was no way these were not getting ordered, once they were made available for home delivery. 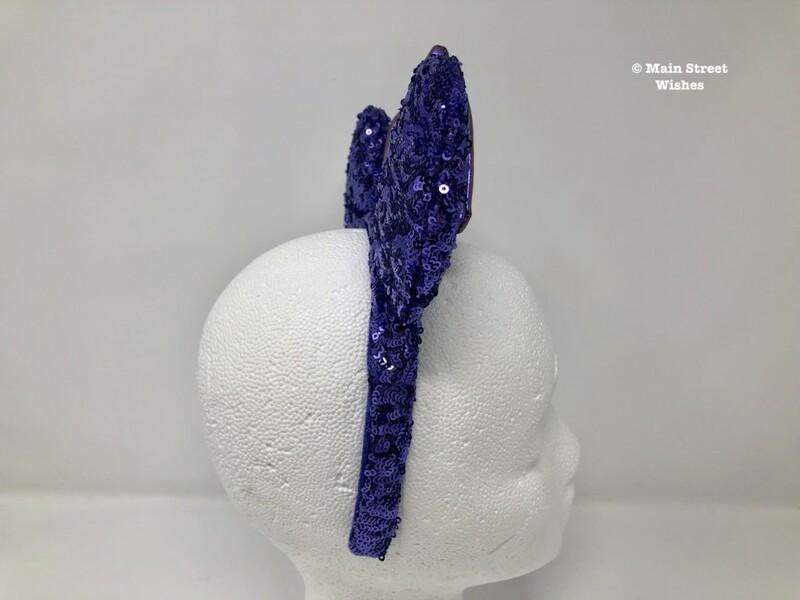 I know I’m not alone in my love of the color purple, because these have become a favorite for many who collect the ear headbands. Every inch of this headband is purple. 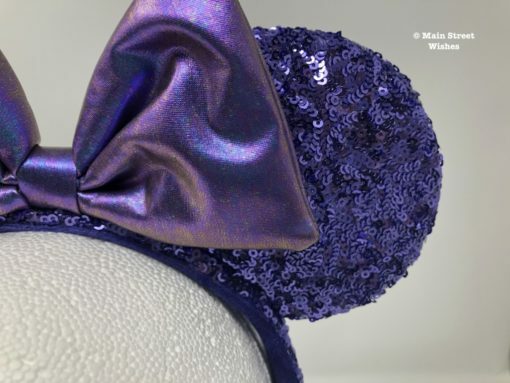 The ears are covered on the front and back with purple sequins. They sparkly nicely all the time, but really sparkle when the sun is on them. 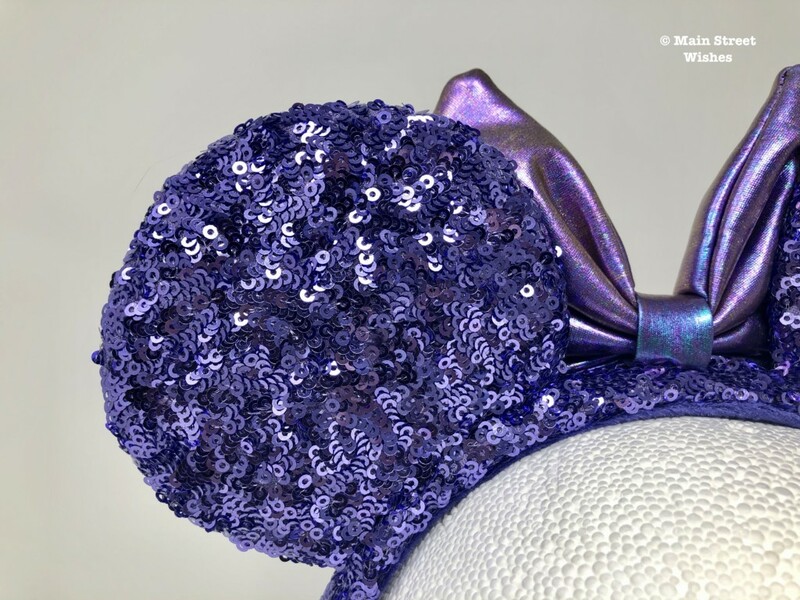 The purple is a deep purple, but has a certain brightness to it because of the sequins. The bow does not have sequins on it. Instead, the bow is made of a thicker vinyl material. 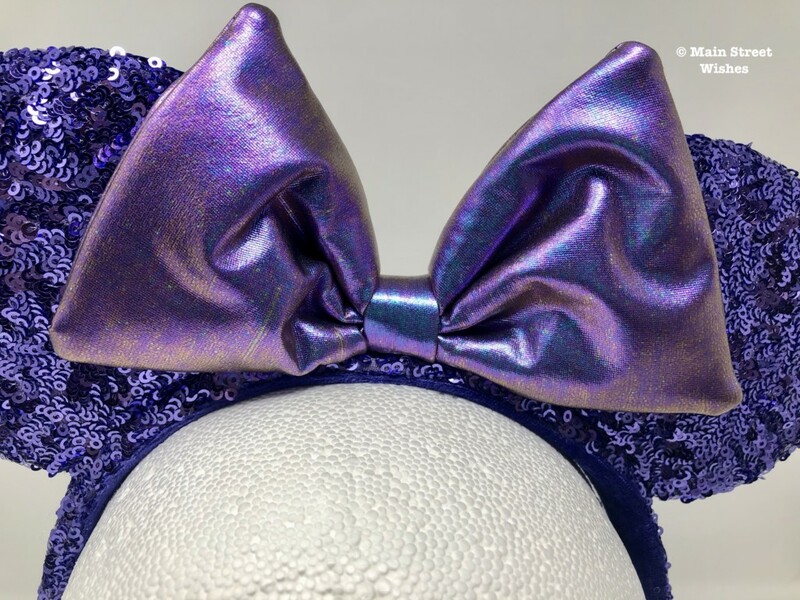 The color is an iridescent purple and it’s a slightly different shade of purple, but it compliments the headband nicely. The bow stands out a bit too, because of the different shade of purple. The headband matches the ears and bow too. 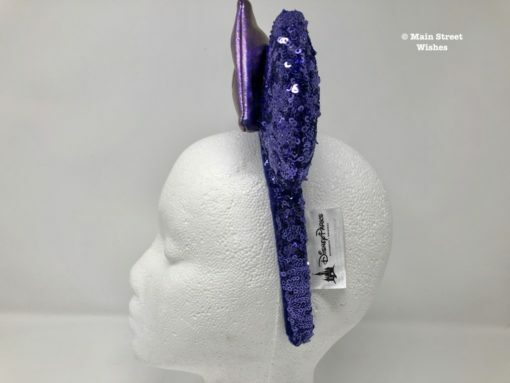 The outside of the headband has the same purple sequins that the ears have, so the headband blends nicely with the ears. On the inside of the headband is a soft material that is also purple. 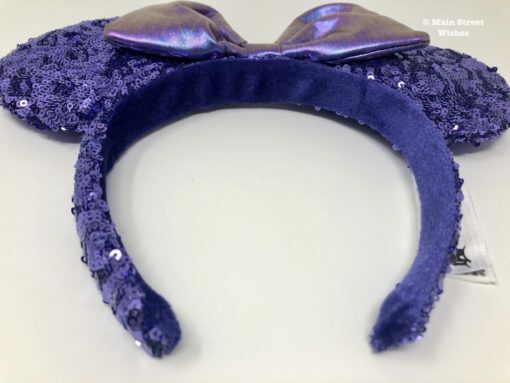 It’s nice having the soft material on the inside, because it adds some comfort when wearing the ears. If you are a fan of the color purple then this headband is definitely for you! 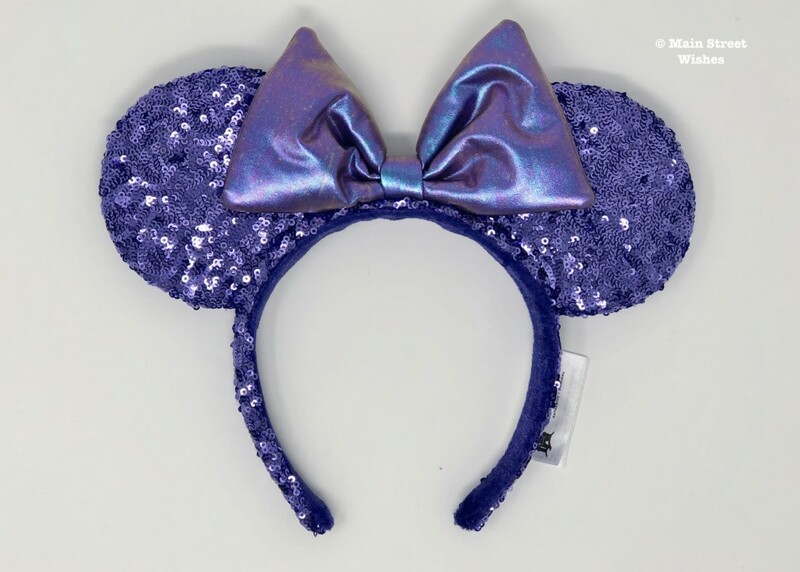 Do you have a favorite pair of ears? 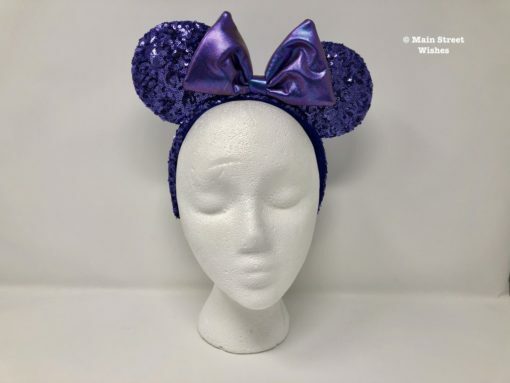 Feel free to share pictures of your Disney ears in the comments below or in one of our Facebook groups: Main Street Wishes and Countdown for Disney App.